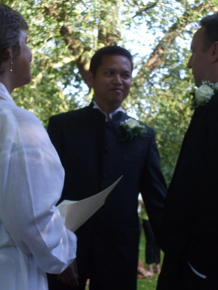 A unique civil partnership ceremony in London, South England, the Midlands or Wales. SERVICES OFFERED Specialise in Civil Partnerships, Weddings/ Marriage ; Recommitment ;Separation; Handfastings, Baby Namings and Development Workshops. UNIQUE/UNUSUAL REQUESTS Absolutely - please ask for what you need.Every ceremony is unique and tailor made. MISCELLANEOUS Marriage journey support, counselling and inspiration to help reduce the stress so often associated with partnership planning. 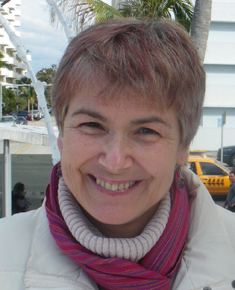 I was Ordained in 2008 and set up Rhythm of Life, which specialises in both ceremonies and workshops, with two other Interfaith Ministers the same year. I am passionate about creating Civil Partnership ceremonies and blessings that uplift and inspire the couple and guests alike. More often than not I work with one of the Rhythm of Life partners, Lucy Wintle; to create and deliver the ceremony. We have also been involved in the Gay Wedding Shows in London, Brighton and Cardiff for the past 2 years. Each ceremony and blessing is created especially for each couple; in the belief that your ceremony should be unique to you; able to reflect your own particular values, beliefs, intentions and preferences. The ceremony can be as long or as short as you want, it can include whatever you want and can take place wherever you want. Do you want family and friends to participate by reading a poem of your choice? Would you like to include some rituals; for example, hand fasting or candle lighting? I can help advice and guide on these and many other aspects for the day. This last year has seen civil partnerships and ceremonies in London, Wales and the South East, taking place inside and out; in gardens, by river banks, on a beach and in an Orangery. Ceremonies have included readings, music, poems, hand fasting, prayer flags, release of lanterns and bubbles. “A powerful and healing experience to have met Estelle and Lucy, who definitely practice what they preach; and communicate through their actions, words and very presence that you are loved and accepted -and that all is well." Check out the website and either email or give me a call for more information or to discuss your requirements. Civil Partnership ceremonies in London, Wales and the Midlands. 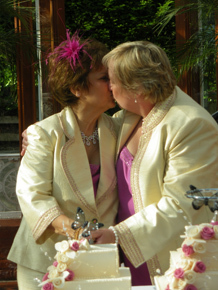 Lesbian and Gay Wedding and Marriage Ceremonies.